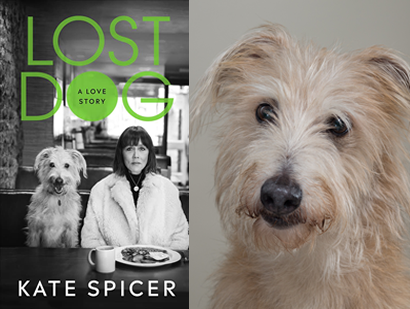 Join writer and journalist Kate Spicer as she talks about her life-affirming tragicomic memoir Lost Dog, a tender true story of one woman and her dog, both lost and rescued by love. Kate Spicer is a middle-aged woman trying to steer some order into a life that is going off the rails. When she adopts a lurcher called Wolfy, the shabby rescue dog saves her from herself. But when the dog disappears, it is up to Kate to hit the streets of London and find him. Will she save him, as he has saved her – or will she lose everything? Trying to find her dog tests her relationship, and her sanity, to its limits – and gets her thinking about her life, and why things have turned out as they have for her. Lost Dog is a book like no other about both the myth of modern womanhood, and the enduring mystery of the relationship between human and canine. Come and hear Kate and Wolfie’s heartwarming story and meet Wolfie too! Tickets: £5 (redeemable against a signed copy of Lost Dog). Includes a glass of wine or soft drink on arrival. Tickets available from the bookshop or purchase online (with booking fee).